Monica M. Bertagnolli, MD, FACS, FASCO, is the 2018-2019 ASCO President. She is a professor of surgery at Harvard Medical School and an associate surgeon at Brigham and Women’s Hospital and Dana-Farber Cancer Institute. Follow Dr. Bertagnolli on Twitter @ASCOPres. Richard M. Boulay, MD, FACOG, is the chief of gynecologic oncology and the director of cancer survivorship at Lehigh Valley Health Network Cancer Institute in Allentown, PA, where he also chairs the ACOS CoC Cancer Committee. In 2008, at the time of his wife’s diagnosis with leukemia, Rick found support, comfort, and wisdom in his patients’ narratives. With profound respect and admiration for their wisdom, he rededicated his career to the understanding of cancer survivorship. His numerous articles, written at the intersection of cancer and society, join his many recordings of vocal therapeutic music and a recently Emmy-nominated documentary Close to Home: Cancer Survivorship, each sharing the wisdom of cancer survivorship. Join Rick on Twitter @journeycancer. 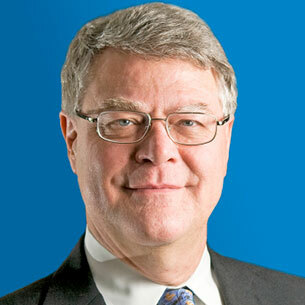 Bruce E. Johnson, MD, FASCO, is the ASCO Immediate Past President. He is chief clinical research officer and institute physician at the Dana-Farber Cancer Institute and a professor of medicine at Harvard Medical School. He is the director of the Dana-Farber/Harvard Cancer Center (DF/HCC) Lung Cancer Program. 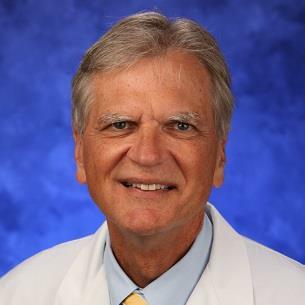 He served as director of the Lowe Center for Thoracic Oncology from 1998 through 2013. 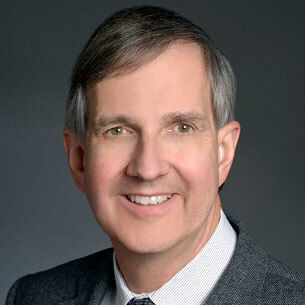 An ASCO member since 1985, Dr. Johnson has served in numerous volunteer and leadership roles, including the Board of Directors (2008-2011), Chair of the Audit, Cancer Education, and Cancer Communications Committees, and on the Journal of Clinical Oncology Editorial Board, among other positions. In 2008, he was awarded the Translational Research Professorship from the Conquer Cancer Foundation of ASCO; in 2012, he was elected as a Fellow of ASCO (FASCO). Adetokunbo Oluwasanjo, MD, is pursuing a hematology and medical oncology fellowship at Thomas Jefferson University and a masters degree in clinical investigation. Her clinical interests include experimental therapeutics and clinical research in patients with breast cancer and hematologic malignancies. Her non-clinical interests include physician wellness, quality improvement, and diversity in health care. Prateek Mendiratta, MD, is pursuing a clinical fellowship in Experimental Therapeutics at the Cleveland Clinic Taussig Cancer Center, after 8 years working in community oncology. He will be focusing on the management of patients with genitourinary malignancies and development of eventual clinical trials and research for this patient population. He has worked in multiple different practice settings and has a strong desire to use the medical narrative to help improve the patient experience. Follow Dr. Mendiratta on Twitter @cancerdocinevo. Nagi S. El Saghir, MD, FACP, FASCO, is a professor and director of the Breast Center of Excellence at the American University of Beirut Medical Center (@AUBMC_Official), in Beirut, Lebanon, and head of the Hematology/Oncology Division at the American University of Beirut. 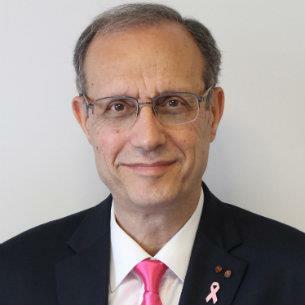 He is the founding president of the Lebanese Society of Medical Oncology (LSMO) and has served on several committees within the European Society for Medical Oncology (ESMO). 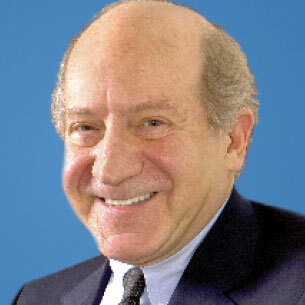 An ASCO member since 1984, Dr. El Saghir is a member of the Journal of Global Oncology editorial board, past chair of the ASCO International Affairs Committee, and co-chair of the Clinical Practice Guidelines Committee's Guidelines Advisory Group for Resource Stratification, as well as a past member of Global Oncology Leadership Task Force and Global Curriculum Committee, among other volunteer roles. Follow Dr. El Saghir on Twitter @NagiSaghir. 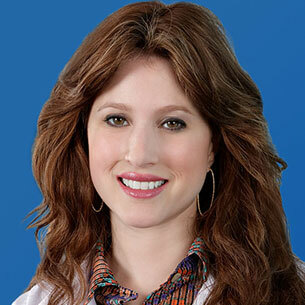 Miriam A. Knoll, MD, is a radiation oncologist at the John Theurer Cancer Center at Hackensack University Medical Center. She serves as Medical Director of the Department of Radiation Oncology at Hackensack University Medical Center/Mountainside. Follow her on Twitter @MKnoll_MD. 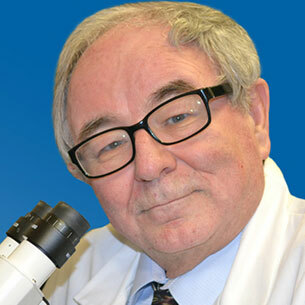 Dr. Frank L. Meyskens, Jr., is Professor of Medicine, Biological Chemistry, Public Health, and Epidemiology and Director Emeritus at the UC Irvine Health Chao Family Comprehensive Cancer Center and Vice-Dean School of Medicine at the University of California, Irvine. He is past chair of ASCO’s Cancer Prevention Committee and has been an ASCO member since 1978. Dr. Meyskens welcomes you to his blog, "Healing Conversations and Poetry." Follow Dr. Meyskens on Twitter @FrankLMeyskens. 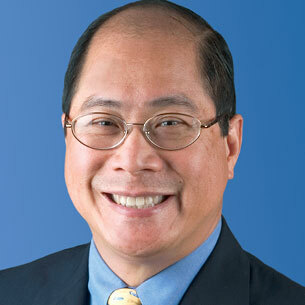 Don S. Dizon, MD, FACP, FASCO, is head of Women's Cancers at Lifespan Cancer Institute, director of Medical Oncology at Rhode Island Hospital, and a professor of medicine at The Warren Alpert Medical School of Brown University. Dr. Dizon serves as chair of ASCO's Social Media Working Group and is a past chair of the Cancer Communications Committee. 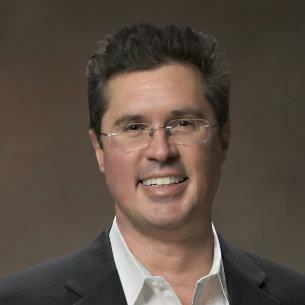 In addition to his regular column on ASCOconnection.org, which has been honored with APEX awards in 2013 and 2014, he is a blogger for The Oncologist and a section editor of Gynecologic Oncology at UpToDate. Dr. Dizon is a member of the Journal of Clinical Oncology Editorial Board, and editor in chief of the ASCO Educational Book. Follow Dr. Dizon on Twitter @drdonsdizon. 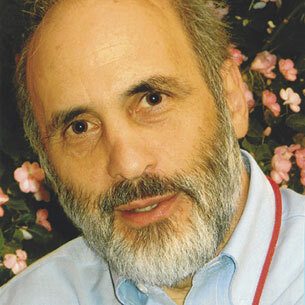 L. Michael Glodé, MD, FACP, FASCO, is a Professor Emeritus at the University of Colorado Cancer Center. He previously served as Chair of ASCO's Integrated Media and Technology and Cancer Education Committees. He is the author of prost8blog, a blog to help patients and their families understand various aspects of prostate cancer. Matthew S. Katz, MD, is the Medical Director of Radiation Oncology at Lowell General Hospital and a partner in Radiation Oncology Associates, PA. He is former Chair of the Communications Committee for the American Society for Radiation Oncology (ASTRO) and External Advisory Board member for Mayo Clinic Center for Social Media. He serves on ASCO's Social Media Working Group, ASTRO's Education Committee, and Massachusetts Medical Society's Communications Committee. His areas of prime interest are patient education and health empowerment. Follow Dr. Katz on Twitter @subatomicdoc. Edward P. Balaban, DO, FACP, FASCO, is the Medical Director for the Cancer Care Partnership with Penn State University Cancer Institute and Professor of Medicine Penn State Hershey Cancer Institute. He currently serves as a Practice Guideline Implementation Network (PGIN) representative for Weight-Based Dosing Chemotherapy for Cancer Patients and Gastrointestinal Guideline Advisory Groups. Dr. Balaban is also Past President of the Pennsylvania Society of Oncology and Hematology and the delegate representing ASCO at the AMA-House of Delegates. Gilberto de Lima Lopes Jr., MD, MBA, FAMS, a medical oncologist, is medical director for international programs and associate director for global oncology at the Sylvester Comprehensive Cancer Center and associate professor of clinical medicine at the University of Miami in Florida. He returned to the United States after 10 years in Asia and Latin America and has dedicated much of his time to the issues of cancer control and access to medications in low- and middle-income countries. 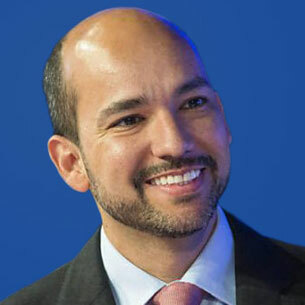 Dr. Lopes is the editor in chief of ASCO's Journal of Global Oncology, associate editor for the ASCO University Editorial Board, 2016-2017 chair of the International Clinical Trials Workshop Working Group, and global health track leader for the Cancer Education Committee, among other volunteer roles. Follow him on Twitter @GlopesMd. 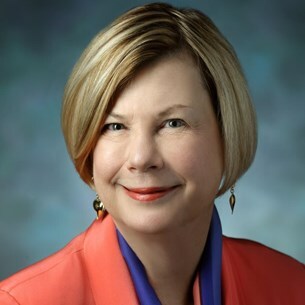 Linda R. Duska, MD, MPH, is the editor in chief of ASCO Connection. 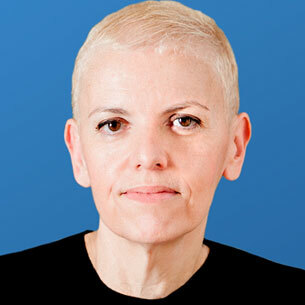 She is a professor and fellowship director for Gynecologic Oncology at the University of Virginia (UVA). An active member of the Gynecology Oncology Group, she also serves on multiple committees and has authored several investigator-initiated clinical trials at UVA. Her research interests include the evaluation of novel therapeutics and targeted therapy for ovarian and endometrial cancers. Dr. Duska is active in the Foundation for Women's Cancers, where she is the Team Leader for the Surgeons Team for the Race to End Womens Cancers. 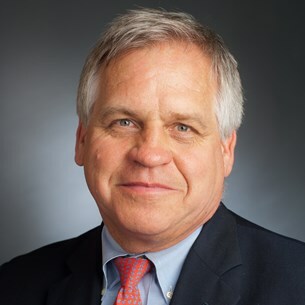 Clifford A. Hudis, MD, FACP, FASCO, is the CEO of ASCO. Prior to this role, he served as Chief of the Breast Medicine Service and an attending physician at Memorial Sloan Kettering Cancer Center and as a professor in the Department of Medicine at Weill Cornell Medical College. He is a Past President of ASCO. His research interests include all areas of care related to breast cancer, with a focus on the development of novel systemic therapies and prevention interventions related to the obesity and inflammation. Follow Dr. Hudis on Twitter @CliffordHudis. 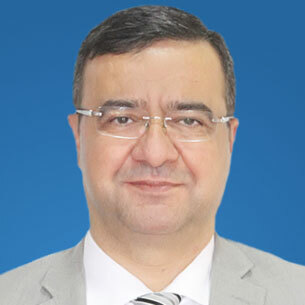 Abdul-Rahman Jazieh, MD, MPH, is Chair of the Department of Oncology at King Abdulaziz Medical City and a Professor at King Saud bin Abdulaziz University for Health Sciences, National Guard Health Affairs, Riyadh, Saudi Arabia. Dr. Jazieh's areas of professional interest are lung cancer, professional development, and improvement of cancer care delivery. He previously served on ASCO's International Affairs Committee and International Development and Education Award (IDEA) Working Group. Follow Dr. Jazieh on Twitter @jaziehoncology. 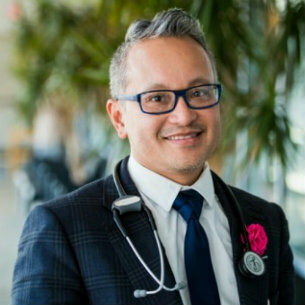 Don S. Dizon, MD, FACP, FASCO, is head of Women's Cancers at Lifespan Cancer Institute, director of Medical Oncology at Rhode Island Hospital, and an associate professor of medicine at The Warren Alpert Medical School of Brown University. Dr. Dizon serves as chair of ASCO's Social Media Working Group and is a past chair of the Cancer Communications Committee. 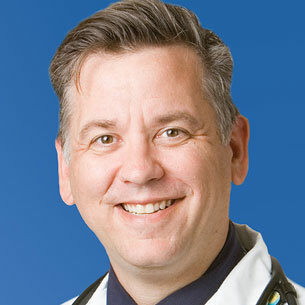 In addition to his regular column on ASCOconnection.org, which has been honored with APEX awards in 2013 and 2014, he is a blogger for The Oncologist and a section editor of Gynecologic Oncology at UpToDate. Dr. Dizon is a member of the Journal of Clinical Oncology Editorial Board, and editor in chief of the ASCO Educational Book. Follow Dr. Dizon on Twitter @drdonsdizon. 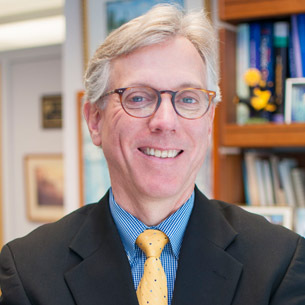 Daniel F. Hayes, MD, FACP, FASCO, is a Professor of Internal Medicine, the Stuart B. Padnos Professor in Breast Cancer, and the Clinical Director of the Breast Oncology Program at the University of Michigan Comprehensive Cancer Center. An ASCO member since 1986, Dr. Hayes has served the Society in numerous volunteer capacities, including as 2016-2017 ASCO President. He is involved in several ASCO Expert Panels related to breast cancer. He served on the ASCO Board of Directors from 2011-2014, on the Conquer Cancer Foundation Grants Selection Committee, as Chair of the Scientific Program Committee, and on the Journal of Clinical Oncology Editorial Board. In 2007, he was presented with ASCO’s Gianni Bonadonna Breast Cancer Award and Lecture; in 2013, he was elected as a Fellow of ASCO (FASCO). 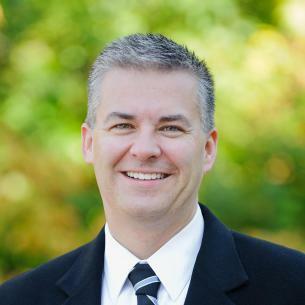 Follow Dr. Hayes on Twitter @hoosierdfh. The Women in Oncology blog provides a dedicated space to share challenges, insights, and best practices with regard to navigating careers, personal growth, and professional development. All ASCO members are encouraged to contribute; contact training@asco.org if you are interested in writing a guest post. The Physician Wellness blog is an interactive platform for ASCO members to share their stories, lessons learned, and best practices with regard to maintaining one’s quality of life and passion for patient care. It is a dedicated space for understanding and promoting personal well-being. All ASCO members are encouraged to contribute; email professionaldevelopment@asco.org for information on contributing a guest post. 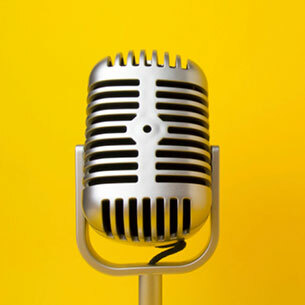 Guest Commentary on ASCOconnection.org provides an interactive platform for leaders in their respective fields to share timely perspectives on oncology topics. If you are an ASCO member interested in contributing a guest post, please contact ascoconnection@asco.org. 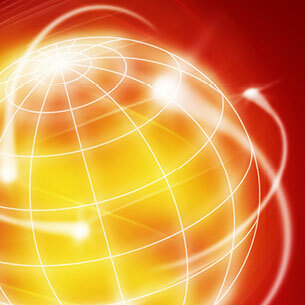 International Perspectives provides an interactive platform for international leaders in their respective fields to share perspectives on oncology topics. International Perspectives contributors are invited to post by invitation from ASCO’s volunteer leadership and key staff. ASCO Commentary provides an interactive platform for ASCO’s organizational leadership and senior staff to connect directly to ASCO’s membership and the wider oncology community. James Randolph “Randy” Hillard, MD, is Professor of Psychiatry at the Michigan State University (MSU) Colleges of Medicine. In 2010, he was diagnosed with HER-2, stage IV metastatic gastric cancer, caused by Helicobacter pylori and kept in check, so far, by trastuzumab. Before getting sick, he was Associate Provost for Health at MSU, responsible for the MD, DO, and Nursing Colleges. He has been designated by the American Cancer Society as one of its “100 Stories of Hope” in celebration of its 100th anniversary. He is dedicated to education and advocacy for better prevention, detection, and treatment for stomach cancer. 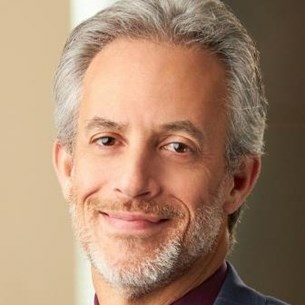 He recently joined ASCO as a member and has been a frequent contributor on ASCOconnection.org and ASCO’s patient-information site, Cancer.Net. Julie M. Vose, MD, MBA, FASCO, is the 2015-2016 President of ASCO. She is the Neumann M. and Mildred E. Harris Professorial Chair and Chief of the Oncology/Hematology Division in the Department of Internal Medicine at the University of Nebraska Medical Center. She is also the Associate Director of Clinical Research at the Fred and Pamela Buffett Cancer Center. In addition to being ASCO President, Dr. Vose also serves on the Special Awards Selection and Health Disparities Committees. 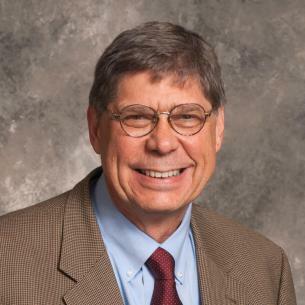 An ASCO member since 1991, Dr. Vose has served on the Board of Directors, Nominating Committee, Scientific Program Committee, Hematology-Oncology Task Force, Cancer.Net Advisory Panel and Editorial Board, and Journal of Clinical Oncology Editorial Board. She served as Chair of the Cancer Education Committee and Publications Committee. Follow Dr. Vose on Twitter at @DrJulieVose. 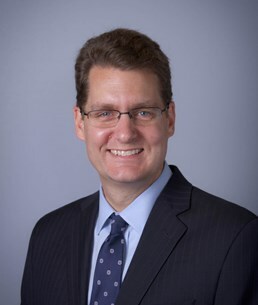 Nathan A. Pennell MD, PhD, is an Associate Professor and Director of the Lung Cancer Medical Oncology Program at the Cleveland Clinic Taussig Cancer Institute. He specializes in the care of patients with lung cancer and conducts clinical trials in this population. In addition, he has interests in health care information technology and social media. Dr. Pennell is a Consultant Editor for the Journal of Oncology Practice and has been featured as one of ASCO‘s “Featured Voices” on Twitter for the Annual Meeting. Follow Dr. Pennell on Twitter @n8pennell. Dr. Pennell was honored by Association Media & Publishing with a 2016 EXCEL Award (Best Single Blog Post) for "Fourth Times the Charm." Peter Paul Yu, MD, FACP, FASCO, is a medical oncologist and hematologist, and Director of Cancer Research at Palo Alto Medical Foundation, where he has worked since 1989. 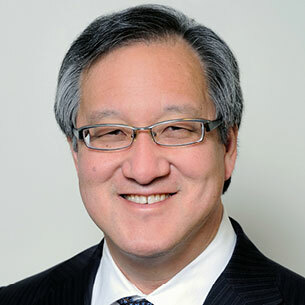 In addition to his role as the Immediate Past President of ASCO, Dr. Yu also serves as Chair of the Special Awards Selection Committee, as well as a member on the Quality Care Committee and CancerLinQ Board of Governors. 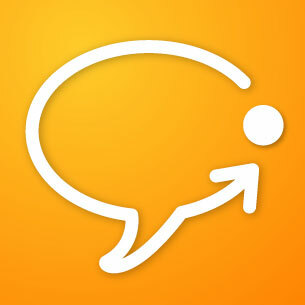 Follow Dr. Yu on Twitter @YupOnc. David L. Graham, MD, is the Physician Administrator at Levine Cancer Institute in Charlotte, North Carolina. He is Associate Editor for the ASCO University Editorial Board, as well as a member of the Cancer Communications Committee and the Practice Guidelines Implementation Network (PGIN). His medical interests include genitourinary and hematologic malignancies and neuroendocrine tumors. Follow Dr. Graham on Twitter @davidgrahammd. 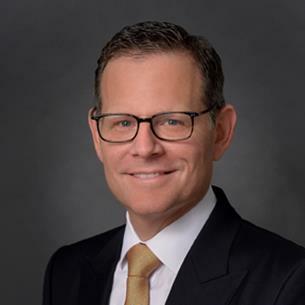 Jonathan S. Berek, MD, MMS, FASCO, is the Laurie Kraus Lacob Professor and Director of the Stanford Women’s Cancer Center at the Stanford Comprehensive Cancer Institute, where he specializes in gynecologic oncology. He is also Chair of the Department of Obstetrics and Gynecology at Stanford. 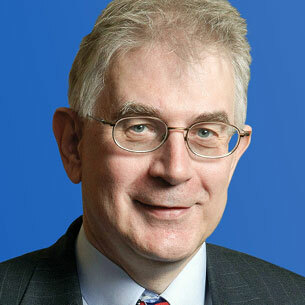 An ASCO member since 1983, he is the Co-Chair of the Management of Cervical Cancer Guideline Expert Panel. He has also served on numerous other ASCO committees, including the Scientific Program Committee and the Cancer Education Committee. Richard T. Penson, MD, MRCP, is Associate Professor of Medicine at Harvard Medical School and Clinical Director of Medical Gynecologic Oncology at Massachusetts General Hospital. His oncology practice is devoted almost exclusively to gynecologic oncology and clinical research. Dr. Penson is one of the chairs for the Institutional Review Board for Dana-Farber/Partners CancerCare and sits on the QOL Committee for the National Comprehensive Cancer Network, the Gynecologic Oncology Group committee for Health Outcomes Research, and the Editorial Board of The Oncologist and Medical Humanities. 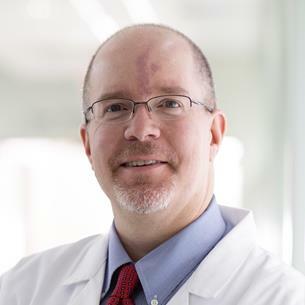 Michael A. Thompson, MD, PhD, FASCO, is a hematologist/oncologist for Aurora Cancer Care and is the medical director of early-phase cancer research at Aurora Health Care in Wisconsin. He served as 2016-2017 chair of the Cancer Education Committee and is a member of the Research Community Forum Council. He previously served on the Cancer Education Committee on Lymphoma & Plasma Cell Disorders, Integrated Media and Technology Committee, and Development and Fundraising Committee of the Conquer Cancer Foundation. He is a past participant in the ASCO Leadership Development Program. Follow Dr. Thompson on Twitter @mtmdphd. 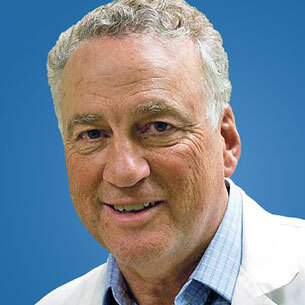 Michael Fisch, MD, MPH, is the Medical Director of Medical Oncology for AIM Specialty Health. He currently serves on the Cancer Communications Committee, and he previously served as Chair of ASCO's Integrated Media and Technology Committee. Follow Dr. Fisch on Twitter @fischmd. 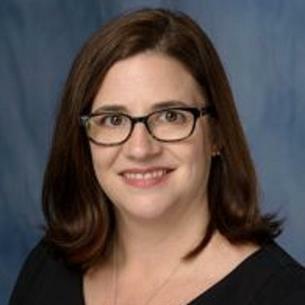 Merry Jennifer Markham, MD, FACP, is an associate professor in the Division of Hematology and Oncology at the University of Florida (UF). 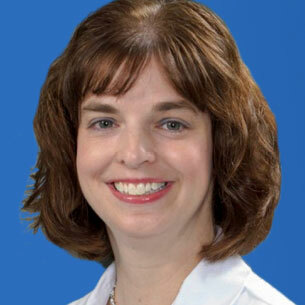 She is a medical oncologist specializing in gynecologic cancers, and she serves as co-lead of the UF Health Cancer Center’s gynecologic cancers disease site group. 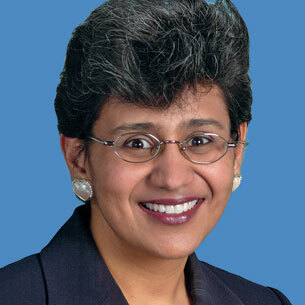 She serves on ASCO’s Quality of Care and Cancer Communications Committees. Follow Dr. Markham on Twitter @DrMarkham. Heather M. Hylton, MS, PA-C, is the Lead Physician Assistant for the Department of Medicine at Memorial Sloan Kettering Cancer Center. She serves on ASCO's Government Relations Committee and is an Associate Editor on the ASCO University Editorial Board. She also serves as a Director-at-Large for the Association of Physician Assistants in Oncology. Follow Ms. Hylton on Twitter @hmhyltonpac. Rob Fisher, MD, has been an ASCO member since 1991. He currently practices at the Longmont office of Rocky Mountain Cancer Centers in Colorado. Recognizing the need to provide online educational resources for breast cancer survivors and professionals, he is Co-Founder and is Organization President of the Pink Ribbon Survivors Network. This website hosts three separate online libraries: one for breast cancer survivors, one for cancer care professionals, and one for primary care providers. Dr. Fisher maintains an interest in strategies to improve the quality of survivorship care. Follow Dr. Fisher on Twitter @RobertEFisher1. S. Yousuf Zafar, MD, MHS, is an Associate Professor and Gastrointestinal Oncologist at the Duke Cancer Institute. He is a health services researcher with interests in the cost and value of cancer care, and how costs impact patients' experiences. 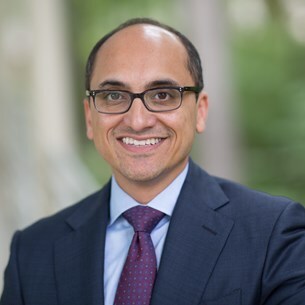 Dr. Zafar serves on ASCO's Health Disparities and Quality Symposium Planning Committees, as well as serving as an Editor on the Journal of Oncology Practice's Editorial Board. Follow Dr. Zafar on Twitter @yzafar. Dr. Miller took on the role of Senior Director, Quality and Guidelines and Medical Director, CancerLinQ in 2014. He was previously a medical oncologist specializing in breast cancer and medical informatics at the Sidney Kimmel Comprehensive Cancer Center at Johns Hopkins. Follow Dr. Miller on Twitter @rsm2800. Clement A. Adebamowo, MD, ScD, is a Professor in the Department of Epidemiology and Public Health and the Associate Director for Population Sciences for the Greenebaum Cancer Center at the University of Maryland, Baltimore; Chairman of the Nigerian National Health Research Ethics Committee; and Founding Director of the Center for Bioethics and Research in Ibadan, Nigeria. He also serves on the Editorial Board of the Annals of Surgical Oncology, Bioethics Online Journal, Public Health Ethics Journal, and Cancer in Africa Online Journal, among others. Dr. Adebamowo previously worked as Professor of Surgical Oncology at the University of Ibadan, Nigeria, as well as served on the Journal of Clinical Oncology Editorial Board and as Chair of ASCO's International Affairs Committee. 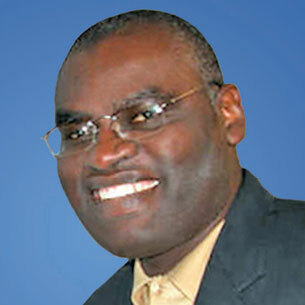 Follow Dr. Adebamowo on Twitter @adebamowo. William S. Loui, MD, FACP, is a medical oncologist in private practice in Hawaii and is on the faculty at the University of Hawaii, John A. Burns School of Medicine. He has been honored by the Susan G. Komen for the Cure in Hawaii for his innovative work with minority breast cancer patients. Recently, Dr. Loui lead the development of a DVD in two Filipino dialects to help with patient educational information. Previously, he served as the President of the Hawaii Society of Clinical Oncology, as well as a member on ASCO's Health Disparities and Clinical Practice Committees. 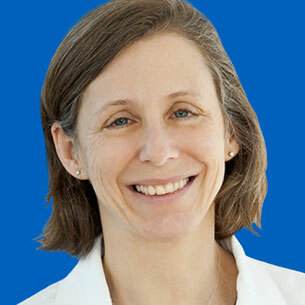 Sandra M. Swain, MD, FACP, is the Medical Director of the Washington Cancer Institute at the MedStar Washington Hospital Center; a Professor of Medicine at Georgetown University; and an active member of the NRG. She is a Past President of ASCO and currently serves on the Conquer Cancer Foundation Board of Directors. Her research interests include evaluation of novel therapeutics and targeted therapy for locally advanced, specifically inflammatory, and metastatic breast cancer, cardiotoxicity of current therapies, adjuvant therapy of breast cancer, and health care disparities. 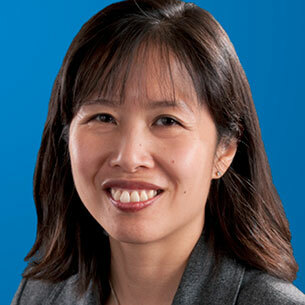 Beverly Moy, MD, MPH, is the Clinical Director of the Breast Oncology Program and a medical oncologist at Massachusetts General Hospital. Her research interests include breast cancer clinical trials and racial and ethnic disparities in cancer care. Dr. Moy is a past Chair of ASCO's Advisory Group on Health Disparities and Ethics Committee. She currently serves on ASCO's Breast Cancer Consensus Panel, as well as the Government Relations and Scientific Program Committees. John V. Cox, DO, FACP, FASCO, MBA, recently joined the University of Texas Southwestern Medical Center/Parkland Health System. He is Editor-in-Chief of the Journal of Oncology Practice, Immediate Past Chair of ASCO's Cancer Education Committee, and serves on the Leadership Development Working Group and Ethics Committee. Dr. Cox is interested in new models/structures of care delivery. Michael P. Link, MD, FASCO, is the Lydia J. Lee Professor in Pediatric Oncology at Stanford University School of Medicine. He is an ASCO Past President and Chair-Elect of the Bylaws Committee. His research interests include the biology and management of non-Hodgkin lymphoma and Hodgkin disease in children and the treatment of bone and soft-tissue sarcomas. George W. Sledge, Jr., MD, FASCO, is Chief of the Division of Oncology and Professor of Medicine at Stanford University School of Medicine. Prior to joining Stanford, he was Co-Director of the Breast Cancer Program as well as the Ballve-Lantero Professor of Oncology and Professor of Medicine and Pathology at the Indiana University Simon Cancer Center. 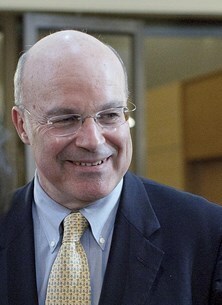 He was the 2010-2011 President of ASCO, and he has served on numerous ASCO committees. He has also served as Chair of the Breast Committee of the Eastern Cooperative Oncology Group from 2002-2009. Dr. Sledge is currently a member of the Measures Task Force, as well as the Quality of Care and CancerLinQ Patient Reported Outcomes Committees. He received the 2006 Komen Foundation Brinker Award for Scientific Distinction in 2006, The Breast Cancer Research Foundation Jill Rose Award, and the William L. McGuire Award from the San Antonio Breast Cancer Symposium in 2010. Douglas W. Blayney, MD, FASCO, is a medical oncologist and Professor at Stanford University School of Medicine. He is an ASCO Past President, and currently serves as a member of the CancerLinQ Physician Advisory Committee and the Cost of Cancer Task Force.